T rying to understand “why” and piece together the right “help” can be confusing. When results fall short of your expectation or begin to plateau, continuing with more of the same strategy can be frustrating. Like any successful journey, a map identifying how to get from point A to point B is essential. Reducing symptoms, expediting progress, breaking plateaus while supporting other interventions is no different, a framework on how to get from point A to point B is essential. Understanding what is happening in the nerve system of an individual with challenges is critical to developing a strategy for lasting change, whether you have a formal diagnosis or not. There is no magic bullet or one single intervention that can do it all, however, there is a more effective formula to create your framework for change. Neurological efficiency and organization are terms used to define your brain’s ability to receive, process and respond to input. 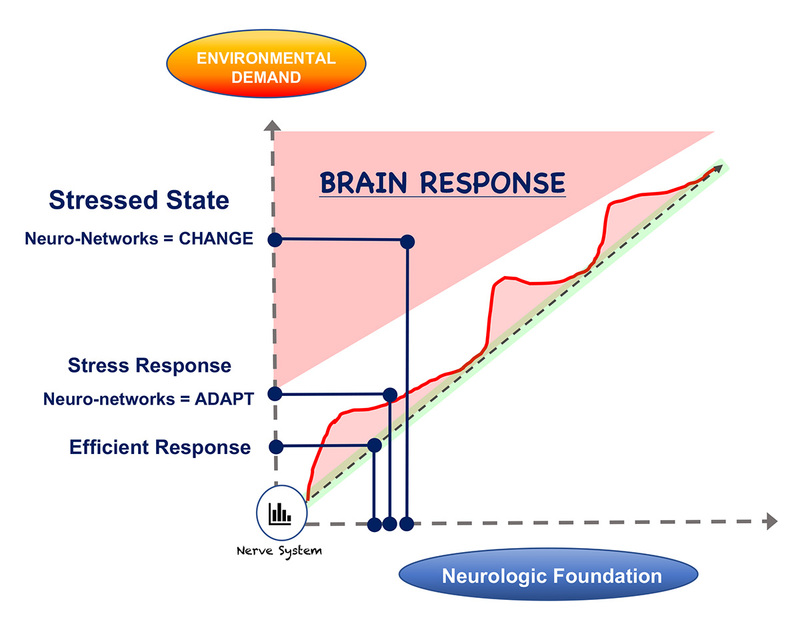 When the brain and neuropathways are communicating efficiently, input is received and processed efficiently, producing timely, organized responses. Neurologic inefficiency and processing overload, explain the symptoms seen in a long list of disorders, including but not limited to, ASD, ADHD, learning disabilities, sensory processing disorder, anxiety, and ataxia. No matter what name might be attached to a symptom it can be traced back to inefficient communication from neuropathways between the body and a region of the brain called the sub-cortex. Stress… undue stress and overload can be brought on by a number of variables. These include milestone delay, a chemical/emotional/physical trauma, or increase in environmental demand. When the brain perceives stress it adapts by activating a protective response. This natural response is “temporarily” activated within the sub-cortex of the brain in an effort to help restore order. This is appropriately called the stress response. When the brain’s stress response is activated “consistently”, over time neuropathways and sub-cortical structures are altered structurally and functionally. Thus altering the efficiency of how environmental demands and input are received and processed. While the brain adapts for protection against stress, it can also be asked to adapt for re-organization. The brain’s ability to grow neural connections throughout one’s lifespan is based upon what science calls neuroplasticity. We understand the relationship between the brain and body, the brains perception of stress, and the brain’s ability to remodel. 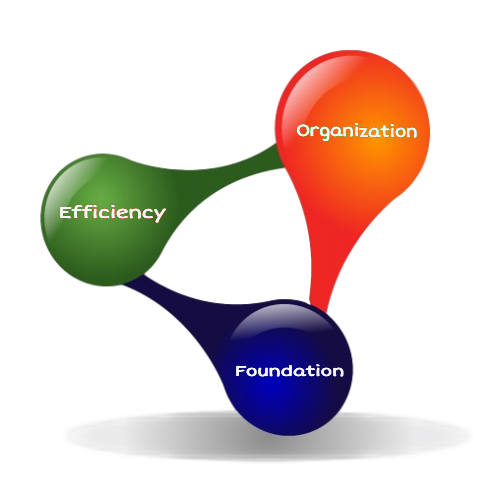 The more efficient and organized your neurological foundation can become, the greater your results. Functional Neuromotor Activation Technique is the foundation of our Neuro-Efficiency Formula.